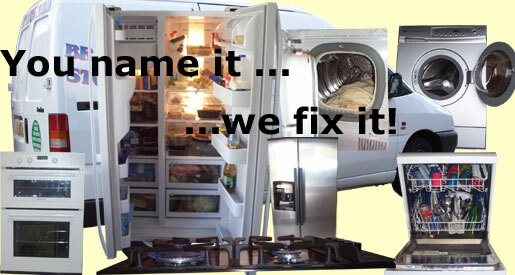 Dishwasher repairs, cooker repairs, washing machine repairs, tumble dryer repairs and refrigerator repairs. Choose your appliance type from the menu above and read up on its faults. We give good honest advice. Either way.. I can fix it!